California native Nick 13 racked up an impressive string of albums and a ceaseless tour schedule with his multi-hyphenate band Tiger Army (one hears Rockabilly, Roots, Punk and Misfits inspired horror elements) before coming to terms with a love of Country music and releasing his self-titled solo album last year. 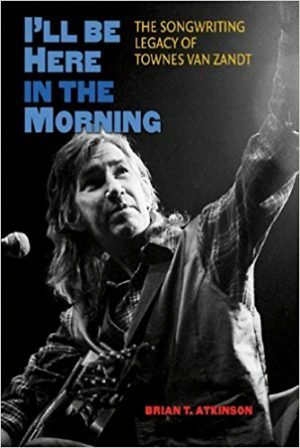 While his output in the rock genre was tinged with songs that were often, very rootsy indeed (sometimes even downright Country on songs like “Outlaw Heart”), this new effort is wholly influenced by the Opry of the 1950’s, the twangier Bakersfield sounds of the 1960’s and the Outlaw movement of the 1970’s. It sounds like a love letter to the music of an earlier era. TJ talked with Nick 13 about his dual life in the Rock and Country worlds, what California Country means to him and the two shows he plays this weekend in Los Angeles – his first Southern California solo gigs in over a year. So, what’s a psychobilly artist doing performing country music? Well, the word “psychobilly” actually comes from the Johnny Cash song “One Piece At A Time”. I’m guessing it was a tweak on the word “rockabilly”, but the word “rockabilly” derives from “hillbilly” both musically and linguistically. So it’s all connected – for me anyway! Where did this project start for you? I would say that it really started in 1999, when Greg Leisz came in the studio to play pedal steel on “Outlaw Heart”, the first country-ish song I wrote (which appears on the first Tiger Army record). It was such an experience hearing him cut that song; it definitely started my mind in the direction of “I want to do more stuff like this.” Over ten years later, he co-produced the solo debut along with James Intveld – they both play on it quite a bit as well. The idea kicked around in my head for many years, I committed to doing it mentally on a tour stop in Nashville in early ’08, and I began the process of writing and trying to put it together about a year later. Your record harkens back to the Country music of an earlier time… you are clearly into the good stuff, where do these country roots of yours come from? I can’t really say I’ve played country music for a long time, but I’ve listened to it for many, many years. There was definitely some Merle Haggard listened to in my house growing up, but really rockabilly was my gateway into hillbilly/country music. Charlie Feathers, Warren Smith, Carl Perkins and others who are primarily known as rockabillies or rock’n’rollers all cut sides that were pure honky-tonk in the fifties and hearing those was what captured me. From there it was the basics like Hank Williams and Bill Monroe, then I just kept digging further and further into honky-tonk and bluegrass. Rockabilly has been a gateway drug for a lot of us. You’ve got some great players on the record, how did you go about putting these guys together? Through Greg Leisz, I met Josh Grange, who’s an incredible musician as well. He was in Dwight Yoakam’s band at the time; through him I met Eddie Perez and James Intveld. James and Greg are both friends with Lloyd Green, of all the amazing players on the album he’s the guy I never imagined I’d get to have play on my songs. 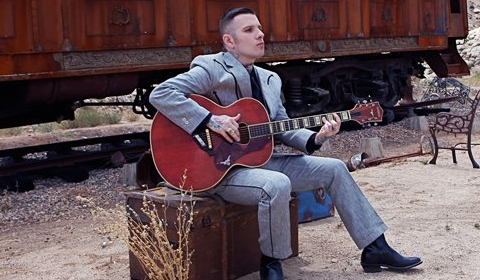 How have your Tiger Army fans reacted to your country roots? They’ve been very supportive. I thought people might hate the song I mentioned earlier, “Outlaw Heart”, when that first album came out, but it actually wound up being a favorite. There’s been something in that vein on every Tiger Army album, so people who avidly follow the band saw it coming. Roots are only a small part of what Tiger Army does, but most people who are fans seem to have that awareness and appreciation, so I’m really lucky there. Tell us about your time in Nashville and are you happy to be back on the west coast this month? I spent quite a bit of time in Nashville and I lived there for awhile, but I’m always happy to be on the West Coast. This solo record was released on a new label for you, can you tell us how that came about? 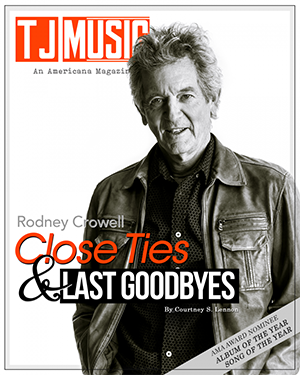 I wanted my first solo album to be on a label that was part of the Americana world. Since I come from the “rock” world or whatever you wish to call it, I wanted to avoid preconceived notions of what my music was or wasn’t as much as possible. Everyone knows there are a LOT of bad roots albums that have been attempted by people who didn’t start out in roots genres. The blessing of already having an audience is that you have an audience, but the curse is that you get lumped in with some stuff you maybe shouldn’t be. So the first album allowed me to do some cool things, playing live on WSM and stuff like that. The more people know where I’m coming from musically, the less what label I’m on will matter. Can you tell me about your writing process? This album was the first time I ever traveled specifically to write, other than tour. Generally I wait until inspiration strikes, I don’t try to force it. I’m not a prolific writer, it’s a small handful of songs every few months if I’m lucky. I will say that the arrangement process was a lot more fluid than it is with Tiger Army; Greg and James were instrumental in that. Outside of the songs themselves, I might’ve had certain melodies for signature riffs or things of that nature, but as long as certain musical ideas were represented I was fine putting my trust in them and the players, and I wasn’t let down. Have you given any thought to recording a country record in CA like Haggard and Buck Owens? Well, the first record was almost cut entirely here. We did a few sessions in Nashville to get Lloyd, and some of Eddie Perez’s stuff was cut out there, but he’s a California guy originally so that almost doesn’t count. Outside of Lloyd, almost all the players are either from here, live here or both. What Country records are in heavy rotation for you right now? Tell us about your shows this Friday and Saturday at the El Rey and who do you have supporting you? Saturday as I mentioned, The Far West join us, another great LA band who play in an Americana/honky-tonk style. Is The El Rey the biggest venue you’ve done with your Country project? It’s probably up there as far as indoor venues. Stagecoach 2010 was a pretty big crowd, and Hootenanny, but this weekend will certainly be among the larger club shows. I went out to the east coast and back solo twice last year, and I mostly play a lot of smaller roots clubs. The El Rey’s a great room. It’s elegant and a decent size but still very intimate. It’s been over a year since I played in Southern California, so I’m chomping at the bit! Every time I see you, you’ve got a fine looking Gretsch guitar in your hands, when did you become a Gretsch guy? Since I was teenager. I got my first Gretsch before Tiger Army started and that’s always been part of the band’s sound. They sponsored me a few years back and I’m very proud of that because that’s always been what I play. I have a ’55 Rancher, but I can’t bear to take that on the road so I play newer Ranchers live solo. The ’55 made it on a few of the albums cuts – it shot it out with a 1940s Martin and a 1950s Gibson LG-1 that belonged to Greg and James respectively, and it actually won a few times! What does the history of California Country mean to you and, follow up, what does it mean to you to be a part of that scene now? It’s a big thing to me. A lot of where the album was cut was near the site of The Palomino, and Nudie’s first shop. Most people have no idea how integral Hollywood and the San Fernando Valley were to country music and style in the 1940s-60s. Even most of the stuff associated with Bakersfield was cut in Hollywood. California’s lost touch with its roots – we need to hold on a little tighter the way they have in Texas and Tennessee. One of the coolest things about making the record was going out to eat with Greg and James and hearing firsthand about the roots scene in the 1970s and 80s. So much more was happening in LA, we need to bring it back! Agreed! Best of luck with your shows this weekend and we’ll look forward to seeing you at the El Rey. Thank you very much, see you there! Nick 13 plays two shows this weekend in Los Angeles at the El Rey Theater, Friday and Saturday nights. Both shows start at 9 pm. You can find him online at http://www.Nick13.com and hear some of his music there as well.